Looking for fun things to do and places to visit in St. Charles? Whether you’re a local or an out-of-towner, you’ll find that there’s a wide array of St. Charles activities and attractions for people of all types to enjoy. 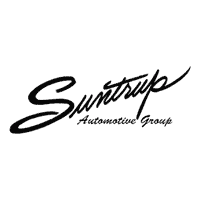 Here at Suntrup Automotive Group we’ve compiled a list of some of our favorite things to do in St, Charles. The St. Charles Historic District consists of 16 blocks of shopping, dining, and lodging. Located on the banks of the Missouri River, the district was first settled in 1769 and features a wide variety of historic buildings. This is a popular destination for both visitors and locals. Location: Main Street, St. Charles, MO. Dedicated to the legendary explorers, the Lewis and Clark Boat House and Nature Center features a museum, full-size replicas of the boats Lewis and Clark used on their expeditions, a gift shop, and a variety of fun and educational events and programs. Location: 1050 South Riverside Drive, St. Charles, MO. Hosting a wonderful assortment of entertainment, music, special events, and sports, the Family Arena is a great place to catch a concert and generally just have a fun time. Make sure to check their event calendar. Location: 2002 Arena Parkway, St. Charles, MO. With 250 display booths and 225 showcases, you’ll find a wide assortment of antiques, sports memorabilia, and all kinds of vintage and collectible items. The prices are affordable, and the atmosphere is friendly and fun. Location:3004 South St. Peters Parkway, Suite U, St. Charles, MO. Located in downtown St. Charles, this lovely park features 16 acres that include a 15-foot statue of Lewis and Clark, a paved path for hiking or biking, and an outdoor Jaycee stage where many special community events are held. There’s always something happening at Frontier Park. Location:500 South Riverside Drive, St. Charles, MO. Our list provides just a small sample of the many St. Charles activities and attractions, and if we left out any of your favorites, please feel free to contact us. We are always interested in fun local things to do and places to go. Check out our list of spring events in St. Louis, and check back with us to get more tips on local attractions.